In 1961, the Mexican government created the Programa Nacional Fronterizo (PRONAF) to enhance productivity of the area by improving infrastructure and beautifying the cities. The program consisted mainly of public beautification projects, such as improvements in tourist services, including hotels, sports complexes, parks, museums, theaters and handicraft shops. In the US, the ongoing decline of the old “Snow belt” urban centers in the Northeast and Midwest caused a shift in the economic and demographic power toward the rising urban centers in the “Sunbelt” of the Southwestern areas of the country. Downtown districts experienced high-rise office development during the 1950s serving as government and financial centers. Nevertheless, the expanding metropolitan centers kept spawning new focal points as residential dispersal, along with an increased in the decentralization of business and industry. In contrast to its original Spanish settlement, later development in El Paso responded to a different US model. Differing from Spanish colonies and current Latin American urbanizations, the US consists of highly decentralized metropolises, referring to autonomous, suburban towns reflecting ideals instilled by Ebenezer Howard’s Garden City. Garden cities were to be planned, self-contained communities surrounded by greenbelts, and containing carefully balanced areas of residences, industry, and agriculture. During the 20th century, the role of the automobile and the negative attributes associated with the inner city (pollution, traffic congestion, etc.) resulted in the social desirability of the suburbs and lead people away from the centers of cities. Suburban towns possessed enough resources to provide adequate service to their residents, establishing their own local autonomous governments, and no longer depending on the inner city. Herzog talks about a “metropolitan political fragmentation”, where small autonomous political units are looking for their personal interests rather than the regions’. In contrast to the “suburban effect” of the US, in Mexico “modern influences are superimposed on an urban structure that remains fundamentally traditional,” such as the city of Juarez. The main plaza remains symbolically and functionally important. 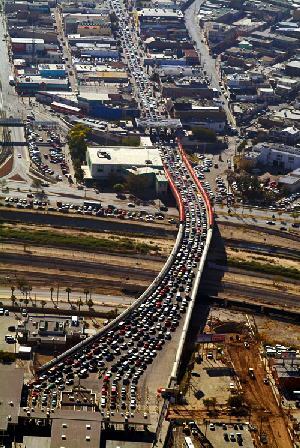 Nevertheless, the growth in population in Juarez pushed the urban landscape into previously fringe zones. In 1950 all residents lived within a 1-mile radius from the Central Plaza, 1960- 2 miles and 1980- 3 miles. This decentralization was accompanied by the appearance of shopping nodes and tourist districts near border crossings. “A transition began between mixed land uses to more specialized functions as competition for prime commercial space became more intense”. On both the US and Mexican sides, the urbanization continued to encroach upon agricultural land, yet agriculture remained a major factor in both economies. In the 1980s, continuing socio-economic segregation became clearly reflected through the prevalence of unplanned peripheral settlements- or Colonias– accounting for 1/5 of the city’s land area. 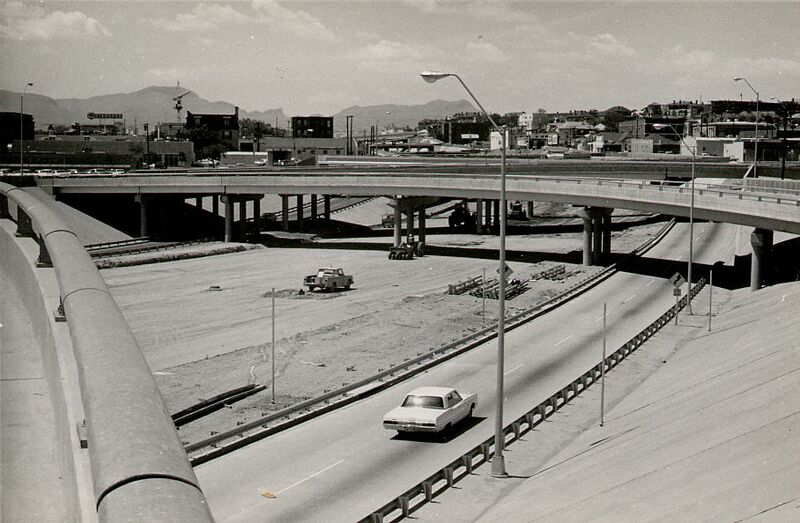 In 1984, the city of Juarez established its first zoning ordinance: “The plan’s broad guidelines called for new residential growth to be steered south along the Pan American Highway and for informal land development on the hilly Westside to be halted”.